, Carrer Cavallers 13, Denia. Hotel Chamarel stands in the historic centre of Denia, a sea-faring town since before the Romans and now one of the jewels of the Costa Blanca. 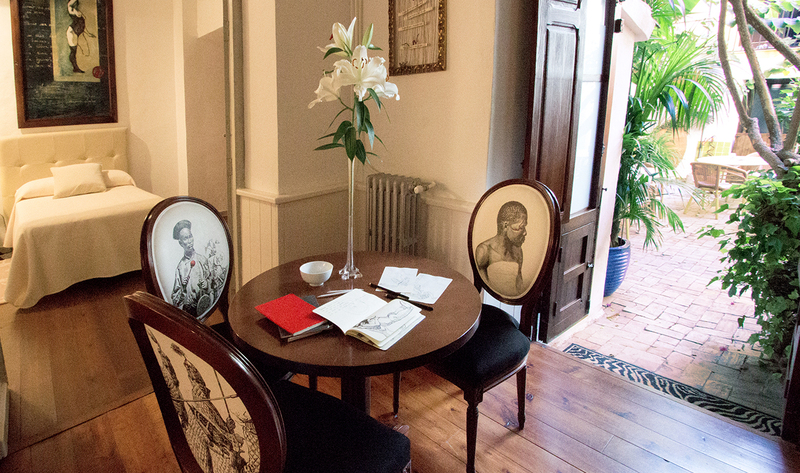 This boutique hotel is beautifully situated in a stately 19th century house which has been carefully restored, retaining the style proper to its period as well as its original aspects. 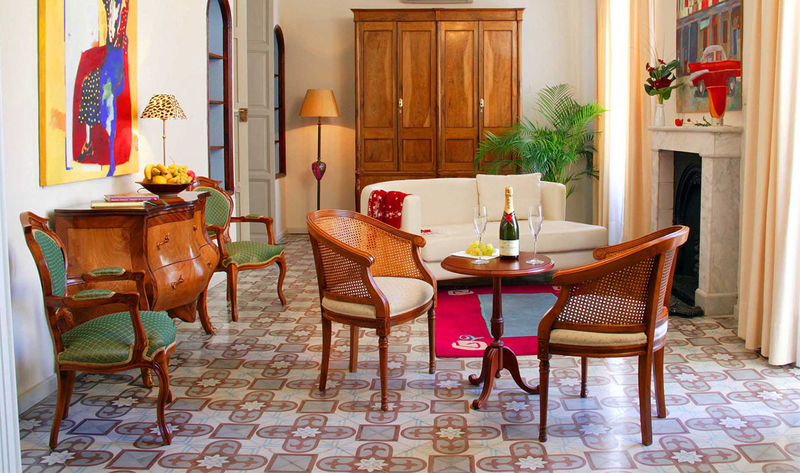 The interiors feature floors aged by time, noble woods and high ceilings. There is a secluded patio with an aromatic atmosphere, incorporating the murmur of water, which is an ideal place to while away a few minutes or a few hours. 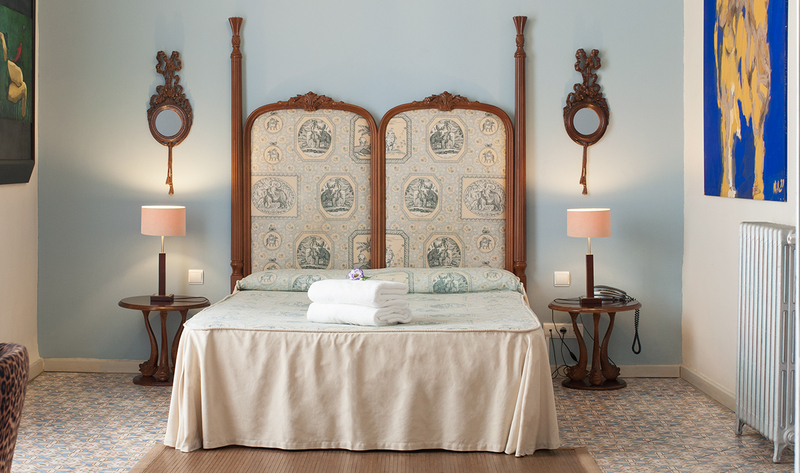 Offering a personalised service, modern amenities and an everlasting elegance, this hotel is a unique prospect for a stay in the historic part of Denia. 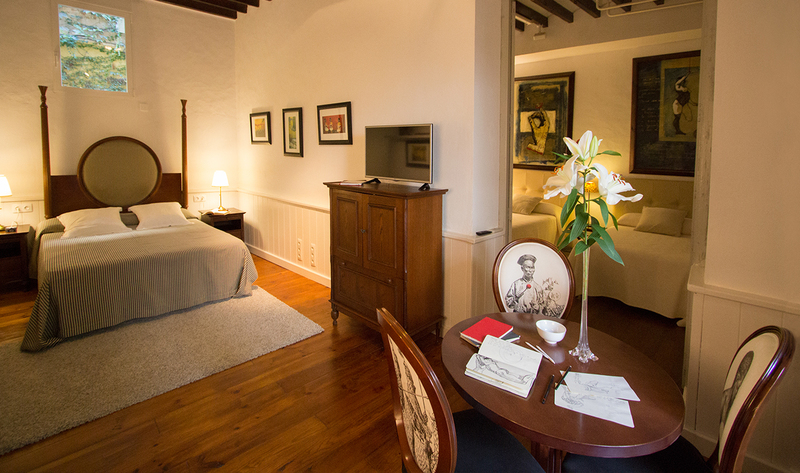 The rooms are all very different from one another, combining contemporary comforts with the character of the past. 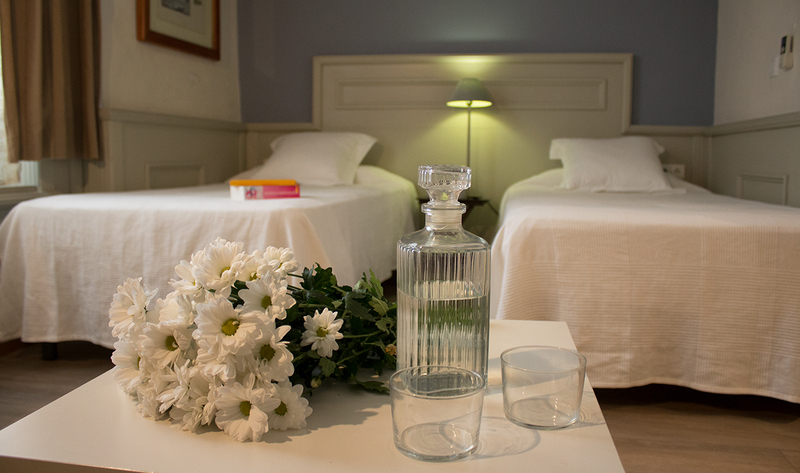 Accommodation is in five suites, five double rooms and four special rooms all with bathroom, heating and air-conditioning, telephone, wifi internet and TV. The suites also have a DVD player and fridge. Denia is a delightful cosmopolitan town clustered around it's old quarter and ancient castle, which has seen a long and turbulent history. The climate of soft temperatures and the 20 kms of sandy beaches and rocky coves makes Denia an ideal place for a holiday. Breakfast is served every morning. Lunch or dinner can be provided for groups from 6 to 35 people. These must be reserved 24 hours in advance.They include traditional Mediterranean dishes all prepared with fresh products bought freshly at the market. Beaches. 20km of sandy beaches and rocky coves. Caving: La Cueva del Rull is 25km away. Walking and hiking: Sierra Bernia. Denia: Castle, Toy Museum, Cultural Museum, fishermen's market. Calpe: Climb the rock of Ifach. Safari Parks in Vergel or Aitana. Theme Parks, Terra Mitica, Terra Natura, Aqualandia, Mundomar. 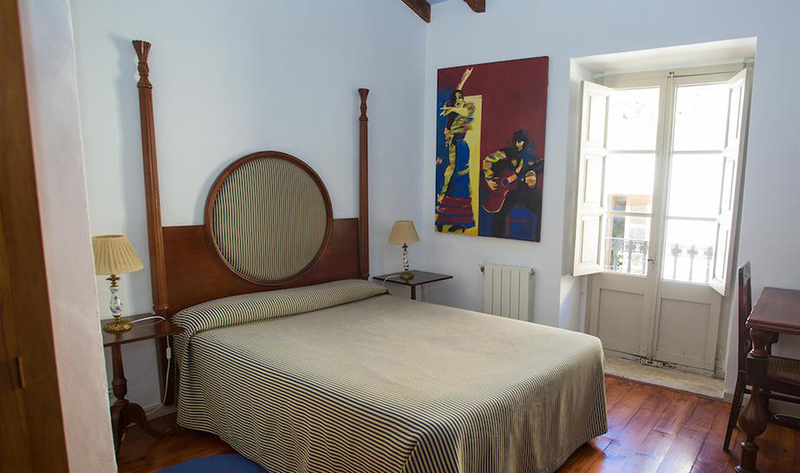 Double or twin beds in a room of about 14-16m2. 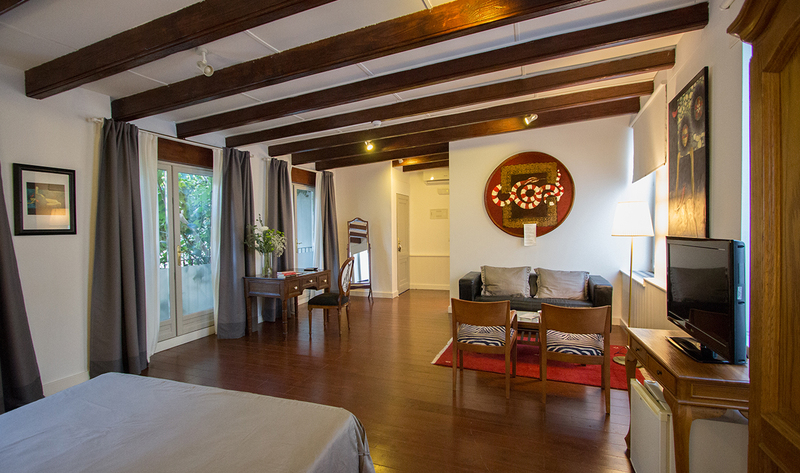 The rooms face out to the outside of the house and each one has a flat-screen television, free wifi, air-conditioning and an en-suite bathroom with shower. 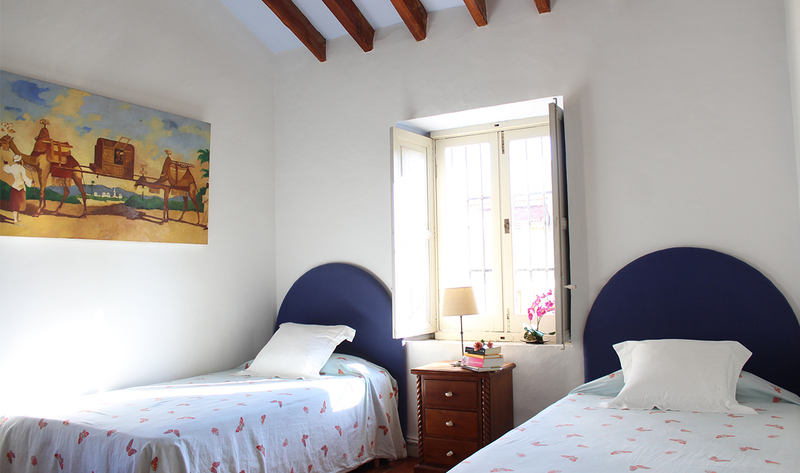 Generous rooms of about 20-30m2 with a queen-size bed or twin beds. 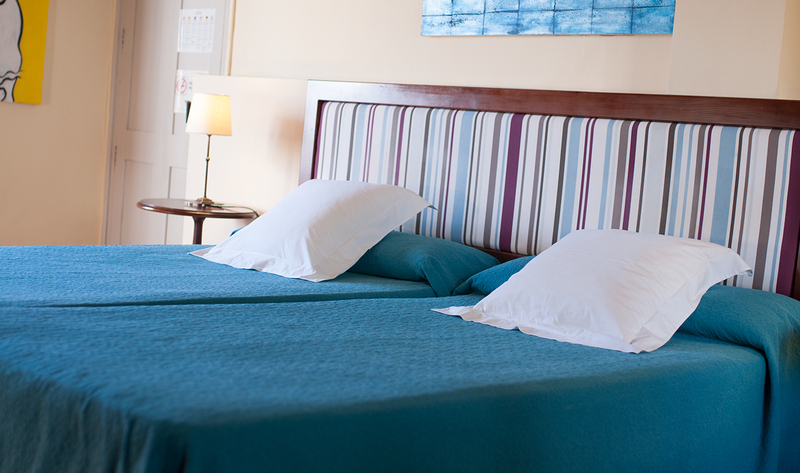 The rooms face out to the outside of the house and each one has a flat-screen television, free wifi, air-conditioning and an en-suite bathroom with shower or bath. 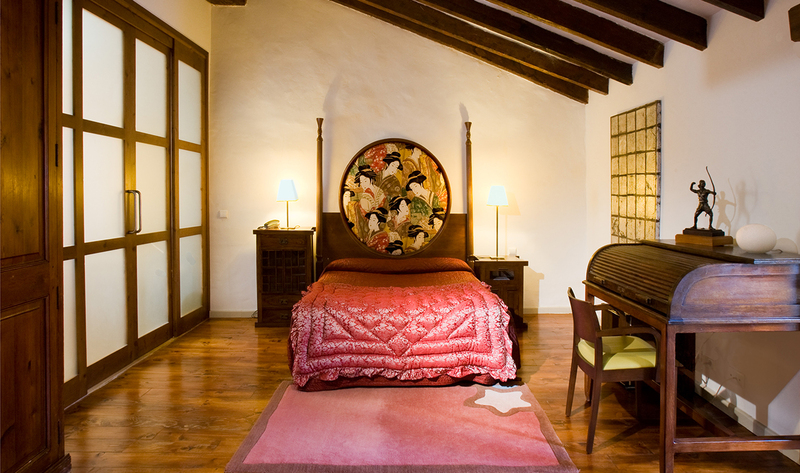 The largest, most elegant and most romantic rooms in the house, with a queen-size double bed and a small balcony. Each one has a flat-screen television, free wifi, air-conditioning, fridge and an en-suite bathroom with bath and shower. 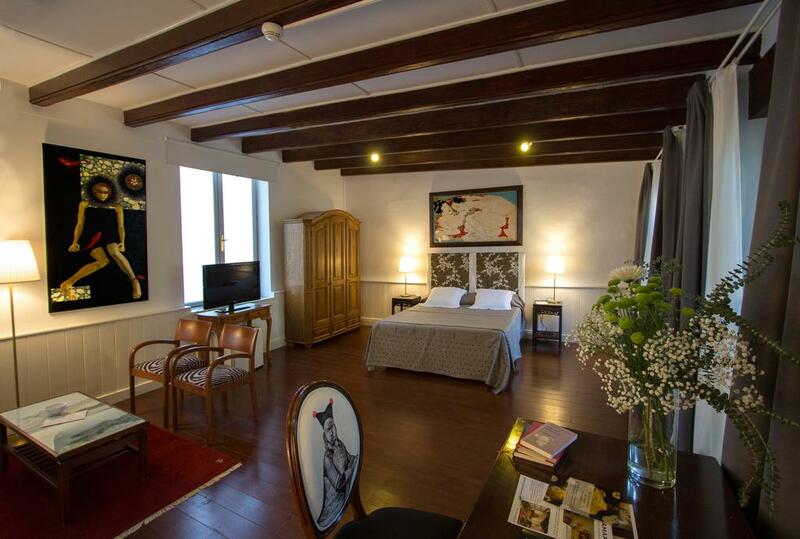 Two bedrooms and a bathroom (except one suite which has the beds in one room), these suites are ideal for a family or friends staying together. The separate bedrooms are perfect for giving parents a bit more privacy. The rooms have a view of the patio and each suite has a flat-screen television, free wifi, air-conditioning, fridge and an en-suite bathroom with bath or shower. About 40m2 in total. We very much enjoyed our stay at the Chamarel. Denia is a beautiful part of Spain, great beaches within a reasonable walking distance and lots to do either in Denia itself or in the surrounding area. From viewing their website we weren't quite sure how big Chamarel would be (some great camera angles in there) but it turned out to be the small hotel we were hoping for with a distinct personality. We arrived in 34 degree August heat and I admit I was slightly dismayed that the 2 bed apartment with bathroom at the top of the house was stinking hot with aircon only in the second (kids) room (and not switched on when we arrived. However, by dint of leaving the bedroom doors open (not ideal on the privacy front but acceptable), we all benefited from aircon which allowed us to get a good night's sleep and to cool down in the middle of the day. I should add that there is a bar/restaurant next door which the main bedroom and bathroom windows overlook; it was closed during our stay so didn't affect us at all but I did wonder (even though we wouldn?t have opened the window and had the added benefit of shutters to keep light and noise out) if it would have been a problem had it been open. But I really hate intrusive noise so it may well not be an issue for most other people. My only negative comment other than the lack of separate aircon in parents' bedroom was that we stayed during the Moors and Christians festival and, naively, couldn't get a table for dinner anywhere on the Saturday night. We had to travel into Ondara and pick up a pizza - not the way we wanted to celebrate the final night of our holiday and rather spoiled the enjoyment we'd had in watching the parade. A simple word of warning to guests in future that it would be a good idea to book when events are taking place would really help. Everything else was very positive. The hotel is lovely and the staff very friendly and helpful, especially Leire (pronounced Lady) who speaks very good English (much better than my Spanish.) She printed off directions for us when we wanted to visit friends staying locally, advised us on where to eat and provided us with knives and plates when we brought lunch in some days (the hotel only does B&B.) They were accommodating in every sense of the word and we would go back at the drop of a hat. We gathered that most guests stay for a couple of days and we were unusual in staying for 12 but it didn't faze them and we really felt like we were in a home from home. Just what we wanted from a little hotel! The Hotel is excellent very welcoming and friendly. The decor is a mad mix of antique and modern (four poster bed, chandeliers and leopard skin print bedside lamps). I loved the bathroom, a good size, and great toiletries. A short walk to the beach and restaurants and shops, spotlessly clean, and lovely staff, I would recommend this Hotel and will be returning. 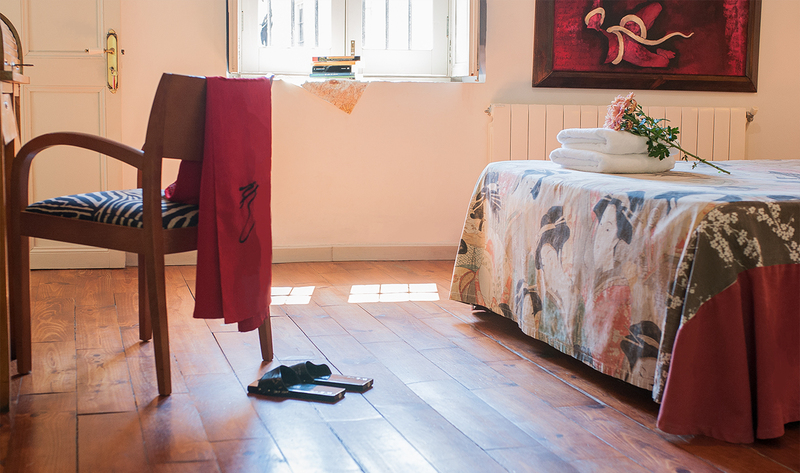 Spacious rooms and great character make this hotel something special. Especially being so close to the sea. 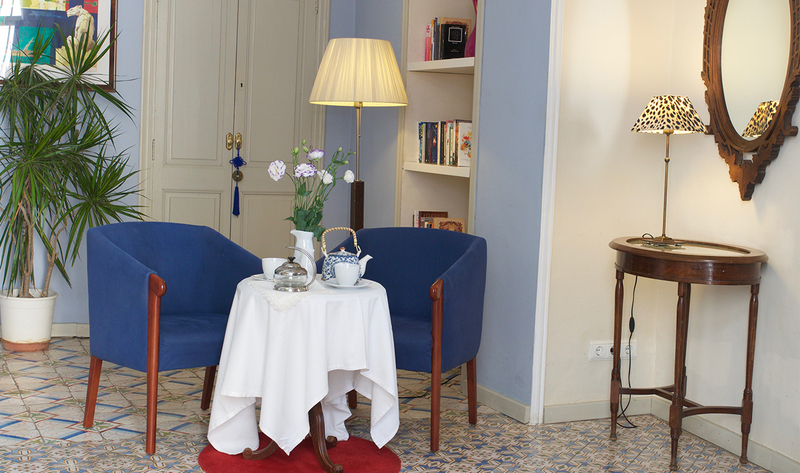 Our cosy boutique hotel is a very peaceful place to stay in the living heart of Denia. My staff and I will be very happy to welcome you. 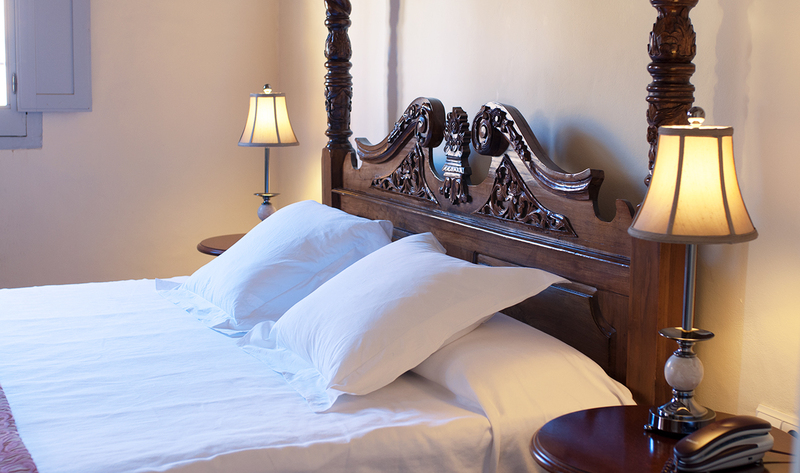 It is important to us to make you feel at home and we will do as much as we can to make your stay unforgettable.